I often get asked about proper pruning techniques. How? When? Why? What about Hydrangeas!?! Many people seem to be tentative about tackling this task. Driving around the metro area I see many badly pruned plants so I can understand why people would have doubts about their abilities. There are professionals who can help but there are also many companies out there taking short cuts with sheering tools that I would ban from touching my plants! Once you feel confident in pruning technique it can be very meditative and rewarding, I promise. I learned to prune when I worked in the Founder’s Memorial Garden on the University of Georgia campus. Day after day I had practice and my patient supervisor would check my work explaining ways I could improve. It does take a while to get confident and if you are interested in learning you have several ways you can proceed. Start with some written instruction such as the linked image above from Monrovia. The University of Georgia Extension Service has publications as well. 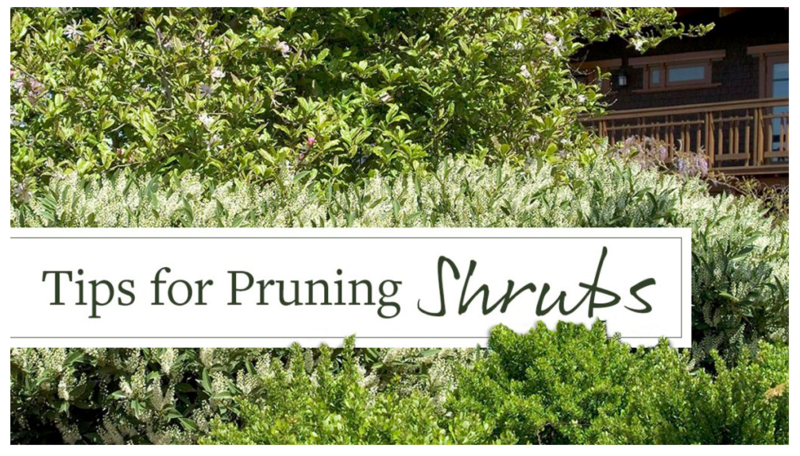 The one I have linked below has some great diagrams to help readers understand pruning. Reading articles like these really helped me understand how to “think like a plant”. I have heard pruning described as a game of chess in that the pruner must think several moves in advance to understand what their action is telling the plant. (or the Extension in your county closer to you) is a good source of teaching events. Many people are confused on when to prune, especially Hydrangeas. This confusion is caused by some plants that bloom on “new wood” and some that bloom on “old wood”. New wood is the growth of the plant since the winter dormant period. If the plant blooms on new wood and you prune in winter, it will still flower because the buds will be set on the new growth. Conversely, if the plant blooms on old wood, you need to prune after it blooms for the season or you risk cutting buds set on last season’s growth. If the plant doesn’t bloom (or isn’t grown for its blooms) it is less crucial when you prune because you won’t potentially be cutting off much coveted flower buds! So if you can’t remember when it is okay to prune you can look up if it blooms on old or new wood! Learning to prune can seem daunting but like any other skill, once you understand the method and get some practice under your belt it can be a very rewarding skill to have! 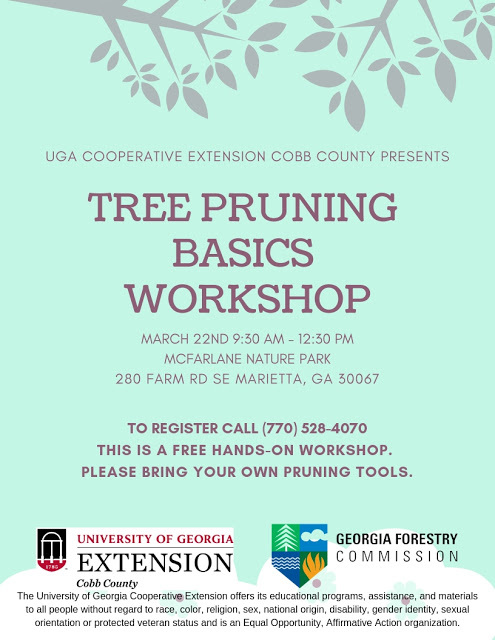 A flyer for an upcoming pruning workshop. 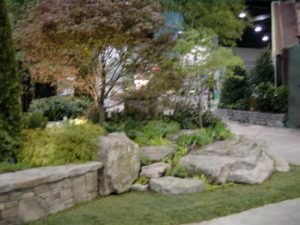 The Southeastern Flower Show was an annual event held in early spring in the Atlanta area. When I first began attending it was held inside what is now Ponce City Market (an amazing old warehouse location which was originally a Sears store and catalog fulfillment center). It was later housed in the larger space at the World Congress Center and its final location was the Cobb Galleria exhibit halls. The last year it was held was 2013. There were many exhibits such as flower arrangements, photography, award winning orchids, small rooms staged for events, garden related club displays, and of course vendors! But the highlight of the show was always the large indoor landscape gardens build by local companies. 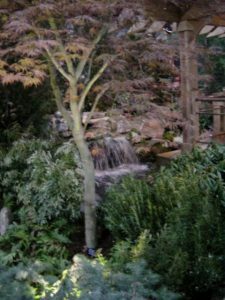 Because of the time of the year, many of the plants outside were still dormant and bare but the landscape gardens at the show were designed to look lush and verdant. It was such a treat to come in from the cold to the smells and sights of what appeared to be growing landscape gardens! 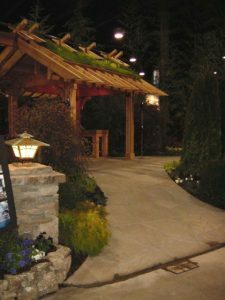 I participated in building a garden and working the show two different years. One was a large garden when I was lead designer at Cascade Design Group. That company later split up and part of it became Terranova Atlanta. With that company I participated in a small garden design and build. 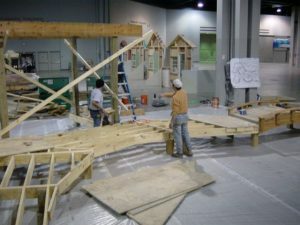 Both builds meant long hours – the gardens have to be build from scratch in 3 days and 24 hour a day shifts are common. For me it was hard to appreciate with the lack of sleep and stress but looking back it was amazing working as a team to build such an intricate design in such a short period. The work begins much earlier in the year than the days before the show though. The design is created in the fall of the previous year and plants are brought into the greenhouses to be forced through December and January. The greenhouse not only has heated air, and timed grow lights, it also has to have heated water for the roots of the plants. I also worked closely with several artists who were commissioned to create sculptural details for the garden. Our regular employees worked in a rented warehouse space to build walls and wood structures that could be brought in piecemeal and locked together like building blocks according to the design. The hard work paid off and both times, the gardens I worked on both won Best in Class and the large one took Best in Show. Then the show opens and the general public comes to tour the work. The vistiors have lots of questions and appreciatively marvel at the projects. I love to talk about design and plants so it’s nice to have so many people who are there for just that! When the show closes, it all gets dismantled and the exhibit hall is readied for it’s next trade show. 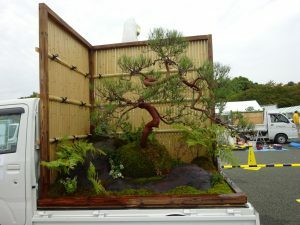 The article details the Kei Truck Garden Contest in Japan where landscape designers pull up in their iconic Kei trucks and spend several hours building a landscape design in the truck bed as part of a competition. 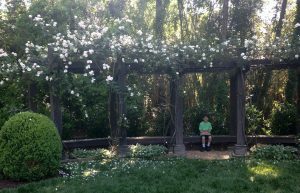 Although the Southeastern Flower Show is no more, this past year the Atlanta Botanical Garden attempted a spring flower show. Maybe the idea of these truck gardens will catch on here and soon Atlanta will be hosting its own truck bed landscape competition. I would love to be part of that! Poison Ivy – are you itchy just from the thought? 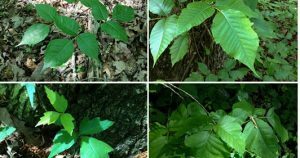 National Public Radio recently shared a goodarticle on how to better spot Poison Ivy. Reading it may help you get better acquainted with all of the forms the hated plant can take. 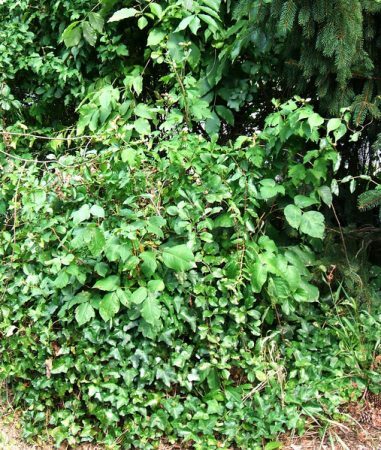 With practice, you can become a seasoned spotter of the “leaves of three” and cut down drastically on your chance of itching after weeding in your landscape. The way I combat it in my own yard is to wear long sleeves and gloves and hand pull out the whole plant, including the root, and disposing of it in the trash (not compost pile). I do this once in the spring when all the weeds come out and again now in late June. My method when continued yearly,seems to keep the vine at bay and [knock-wood] my family and the kids that play here don’t find any. I don’t love chemicals like Round Up and it doesn’t seem to do a very good job on Poison Ivy anyway so hand pulling is what I recommend. That said, I don’t currently react to the oil but I have been told that continued exposure can cause a person loose “non-allergic” status. So I continue to take precautions. Be very careful with those hairy vines going up trees. It is either Virginia Creeper (harmless) or Poison Ivy so to be safe, DON’T BURN those logs! 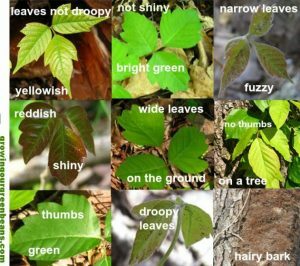 If I am at your property, I am happy to do a mini Poison Ivy quiz for you! This is the one plant (if not more)I want everyone to be an expert at identifying! Are you dreaming of the weather breaking too? Cool breeze blowing the falling leaves… Geese honking to each other as they pass overhead… Needing a sweater in the cool morning as the sun warms the ground… Seems like it will never come but that doesn’t mean I can’t wish! 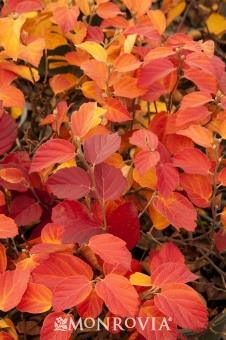 If you would like some spectacular fall color in the yard, Fothergilla is a great plant to have! This hot weather is not ideal for planting but make plans to include some of this one in your winter planting plans. Here is more information from a post I made a few years ago on my Facebook page. https://www.facebook.com/Moll.Dunn/ (if you want to “like” it I will post notification there when I create new content here). 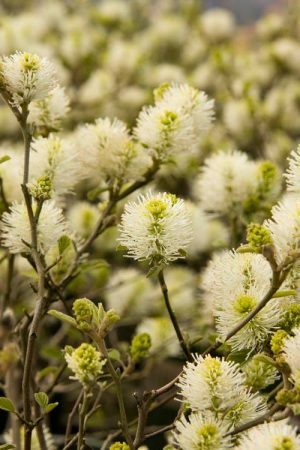 FOTHERGILLA – I know some people will inevitably know this plant but it is delightful and not overused. Pronounce it similar to father-gee-la. It doesn’t have a more common name. As a shrub native to the southeastern United States, it is well adapted to the Atlanta area and doesn’t require special pampering. Fothergilla has the amazing fall color that you see in the attached picture and great spring flowers too! 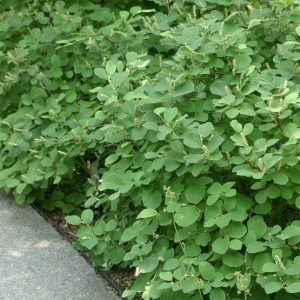 The shrub has an attractive summer blue green leaf and keeps a neat appearance that fits right into almost all types of landscapes. Both the fall color and flower will be peak if the shrubs are sited in full sun but partial shade is acceptable. The ‘Mt. Airy’ is a bigger cultivar topping out at 5-6′ and Fothergilla gardenii is a dwarf form that only gets 2-3′. They are deciduous (loosing leaves in winter) so they look great layered in groups with some evergreen choices. 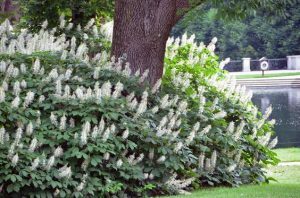 Take a look at Fothergilla next time you are looking for tough but interesting plant. 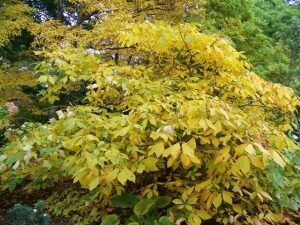 The first Bottlebrush Buckeye (Aesculus parviflora) I “met” was an old one in the Founder’s Memorial Garden in Athens, GA. It still sticks in my memory as one of my favorite shrubs and I consider it tragically underused in landscape design. 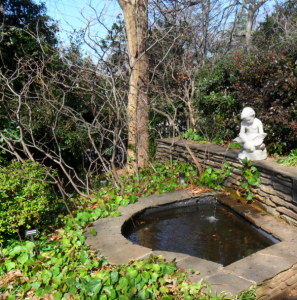 During my undergraduate and graduate years in the landscape architecture program at University of Georgia, I had the privilege of working in the Founder’s Garden in exchange for reduced tuition. The reason I consider it a privilege is I was able to truly know the garden and all it’s plants in every season, and learn what it took to care for them. A typical landscape architecture education does not include dirt under the fingernails! The Founder’s Garden Buckeye bloomed right at (what was) the time of UGA’s graduation in June. The air was hot and muggy and the large but delicate white flowers seemed oblivious to the weather. The leaves typically stay unblemished through the long summer and a yellow fall color can be expected. The Bottlebrush Buckeye is native to the woodlands of Georgia as well as Alabama and Northern Florida. It will bloom best in part shade on the edge of the tree line but can also be placed in full shade. It is slow growing but will eventually get large with an eight to ten foot spread. I made sure to check that this interesting, native shrub is currently available in the trade. MNI wholesale nursery has them available in a 5 and 7 gallon size. 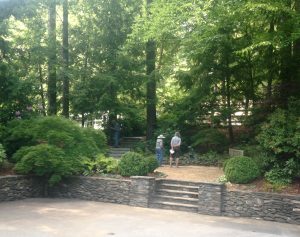 If you don’t have a landscaper who can get it for you there, you may try Pike’s. Very rarely I have seen them available as mature balled and burlapped product and I would highly recommend that if you can get it for a more instant show! 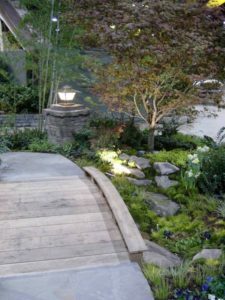 Having a trained Landscape Architect with years of study and knowledge from hundreds of completed jobs is an invaluable part of your landscape design or renovation. They have experience in many ways to create the unity, simplicity, balance, proportion, color, and transition that great landscapes possess. 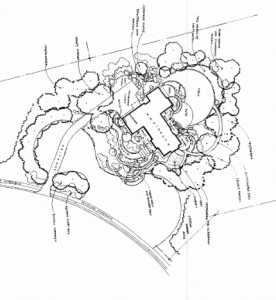 The Landscape Architect will spend time on your property and talking to you. They will hear what you feel are the best parts of the site and what the problem issues are while pointing out opportunities you may not have thought of. They will take into account how you plan to use your property, what type of budget you are working towards, and what your style is when completing the plan. 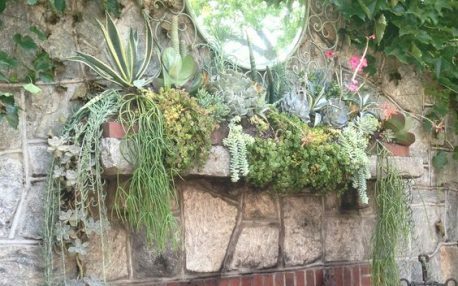 The LA has knowledge of many materials (hardscape and plant) and design solutions to make your yard the most beautiful and useable it can be. 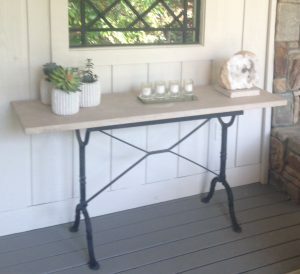 Many may be ideas that you may have never thought of and could end up saving time and money or just something you fall in love with in your yard. The master plan itself gives a cohesive document to plan by. If a landscape is put in piece-meal by different installers over time the overall effect is incoherent and value is lost on the property. A masterplan ties the design elements throughout the property so even if the installation does not happen all at one time, there are no indicators that show the different stages, everything flows together. 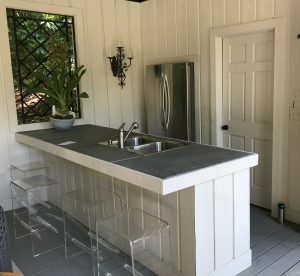 Many people will attempt to solve specific issues in the yard, but with a master plan all of the issues and possibilities can be examined together for the most elegant solutions. For example, even if a side yard screen was not a first year priority because an adjacent house had not been constructed, the plan would call for screening there that could be started as much smaller plants (for much less money) that would be full grown when the neighboring house looms over a private pool! If the property were to be fenced immediately for a pet, the spread of the future trees would be taken into account in fence layout so the two do not interfere over time and have to be re-addressed. 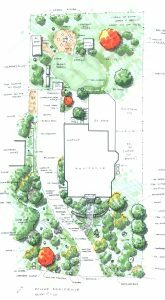 While most clients love the elements of the completed masterplan, one additional benefit of figuring out the plan before starting work is that if the client does not like parts of the design it can be visualized much sooner and corrected much more inexpensively on paper than years later when the plants are full grown shading the pool or the deck is too small for parties. Consider the extra time and money spent on a professional masterplan an investment in the future quality of your property. 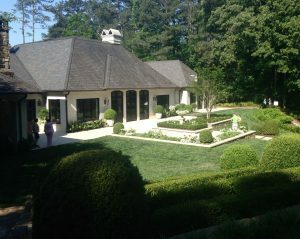 My mom and I have spent every Mother’s Day for the past 20 years touring private gardens of Atlanta. 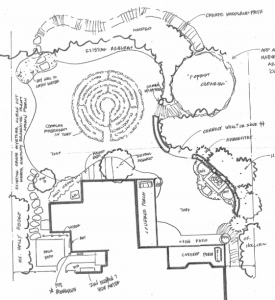 We began even before I was in school to be a landscape architect. Now I have the pleasure of having my son along for the tour as well as my uncle who travels from New York each year. 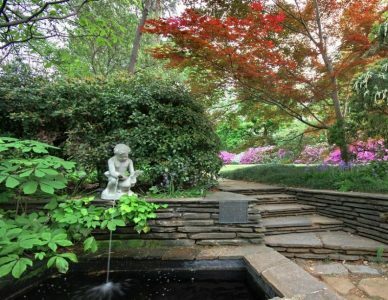 The Garden’s for Connoisseurs Tour is organized by and benefits the Atlanta Botanical Garden. Every year, approximately 10 private gardens are opened to ticket holders for 2 days. This year had some gems as usual and we enjoyed getting a glimpse into some thoughtful design. IT WAS HOT though, topping 90 degrees both days. So any shade was welcome. This was a memorable stop along the tour. 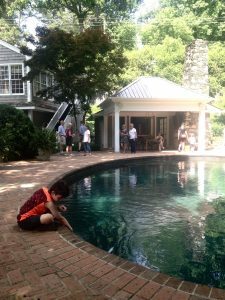 A well appointed pool house with much appreciated fans. I especially liked the pops of orange and the clear lucite bar stools reminiscent of Louis Ghost Chairs. 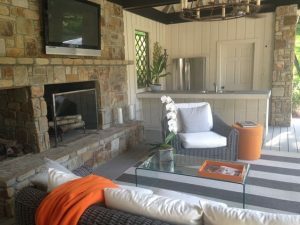 The entire landscape was planted in whites and greens and the details on the table in the pool house matched. I have a major crush on the quartz geode. The opening above had decorative iron work and no glass to allow the breezes to circulate. Another highlight was this shady pool with a brick deck. I typically don’t love brick as pool deck because of the small size of the pattern. I feel it becomes busy at large scale such as around pools. This one surprised me. All of the green tucked in around and the shade from the mature Dawn Redwood made a restful spot. We will all be looking forward to next year and if you have never been I highly recommend it! I’d also love to hear your thoughts if you attended the tour.